Dorothy Mae Wolf Beaver, 94, of Coeur d’Alene, Idaho, but a long time resident of Winona Lake, Ind. and Orange County, Calif., entered into glory on March 28, 2014. Dorothy was born in Palomar, Calif. on March 2, 1920 to Ned and Hope Wolf. She graduated from Huntington Memorial Hospital School of Nursing with a R.N. degree in 1941, and immediately went on to attend Grace Seminary in pursuit of her interest of becoming a missionary nurse to Africa. While attending Grace, Dorothy met Samuel Wayne Beaver, attending Grace Seminary from Somerset, Ohio. 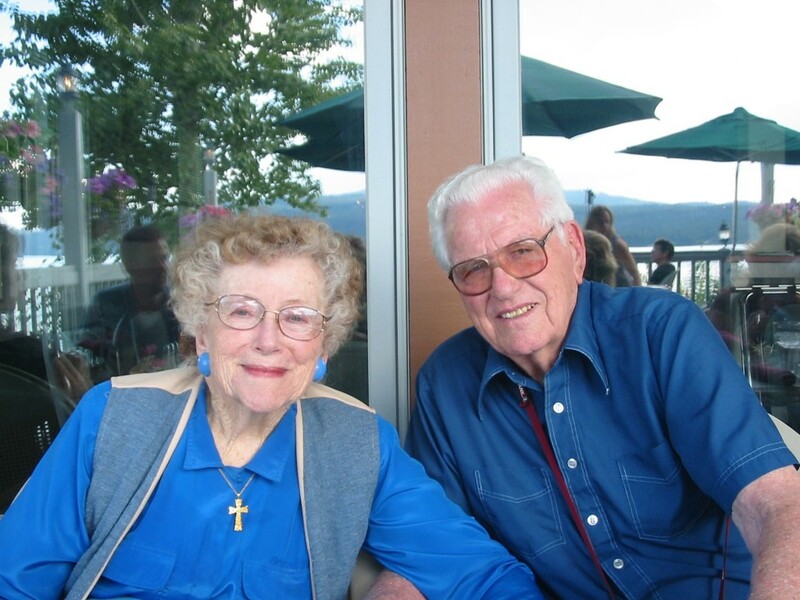 Dorothy and Wayne were married August 7, 1944, and recently celebrated their 70th anniversary last August with family in Coeur d’Alene, Idaho. Shortly after their wedding, Dorothy and Wayne made arrangements to begin their life’s work as missionaries to the Central African Republic (C.A.R.) where they served for 27 years. In the C.A.R., Dorothy was deeply involved in health services, working in clinics throughout the country. Dorothy was also involved in the teaching of African women at the Bible Institute of Bata. Following retirement from the mission field in 1971, Dorothy continued her nursing career by working for many years at Prairie View Nursing Home in Warsaw, Ind. and then in later years at Grace Village Retirement Community in Winona Lake, Ind. Dorothy was survived by her husband Wayne, children Mary Beaver Hoffman (Coeur d’Alene, Idaho); John Beaver (Murrieta, Calif.); James Beaver (New Meadows, Idaho); Dan Beaver (Manila, Philippines); Joe Beaver (Moorpark, Calif.). Dorothy was preceded to Glory by son Philip Beaver (deceased in 1953). At the time of her death, Dorothy had 16 grand children and 26 great-grand children (plus three en route). The Beaver family will not be holding a funeral service for Dorothy, but is planning a memorial service for the weekend of May 3 in Coeur d’Alene, Idaho. In lieu of flowers, and in keeping with Dorothy’s love for children, the family is asking that donations be considered for The Dorothy Beaver Memorial – Ati Tribal Children’s Ministry c/o First Love International Ministries, P.O. Box. 15836, Loves Park, IL 61132, email firstloveinternational@comcast.net, call (815) 229-3065 or visit http://www.firstloveinternational.com/ministries. God drew Mrs. Beaver and me together as friends while I was a seminary student. She adopted me as her "dotter" -- and even more importantly into her heart. We have had 33 years of sweet friendship, in which she has been a faithful and caring pray-er. Both she and Dr B have been so kind to me, and I count it a privilege. She had such a loving and beautiful smile. I hope somewhere in heaven God kept a recording for us to see of the moment she stepped into glory. Her smile would have radiated as she beheld her Savior face to face and was welcomed by her son Philip and dear friends Dorothy ("Dot") and Marvin Goodman -- not to mention all those who've gone before that she helped lead to the Lord! Dorothy Beaver never died, she lives in glory, but after 94 years of faithful service, her body wore out! Thank you Dr. B and the rest of the Beaver family for sharing your loving wife, mom and grand-mom with all of us. We are so blessed for having known her!